HAPPY CHINESE NEW YEAR 2014. Today is the second day of Chinese New Year and I am sure all of have had lot of nice food. After lots and lots of auspicious, expensive greasy food, may be it is time to prepare some simple items for breakfast.. 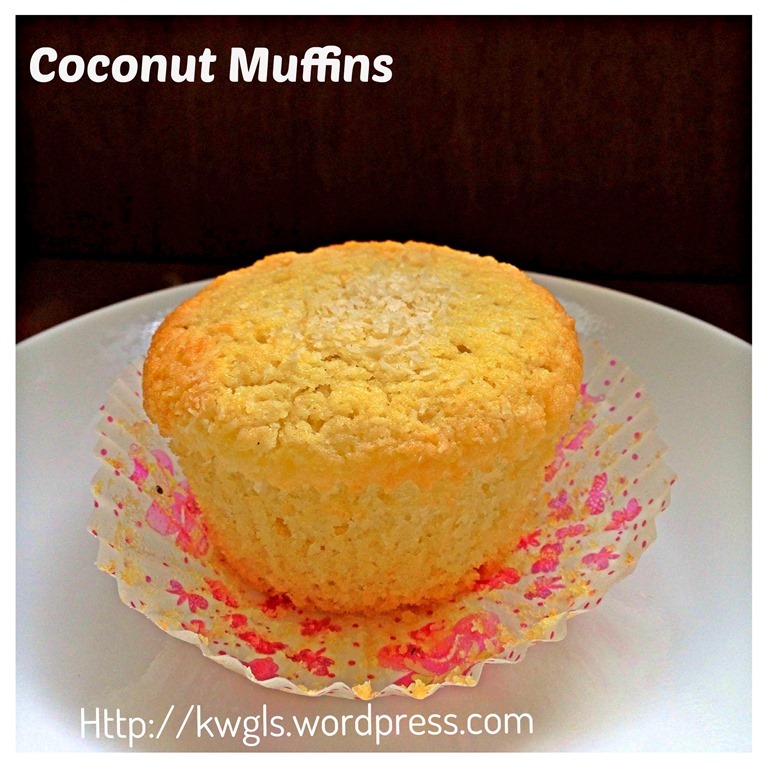 This is a coconut muffin. 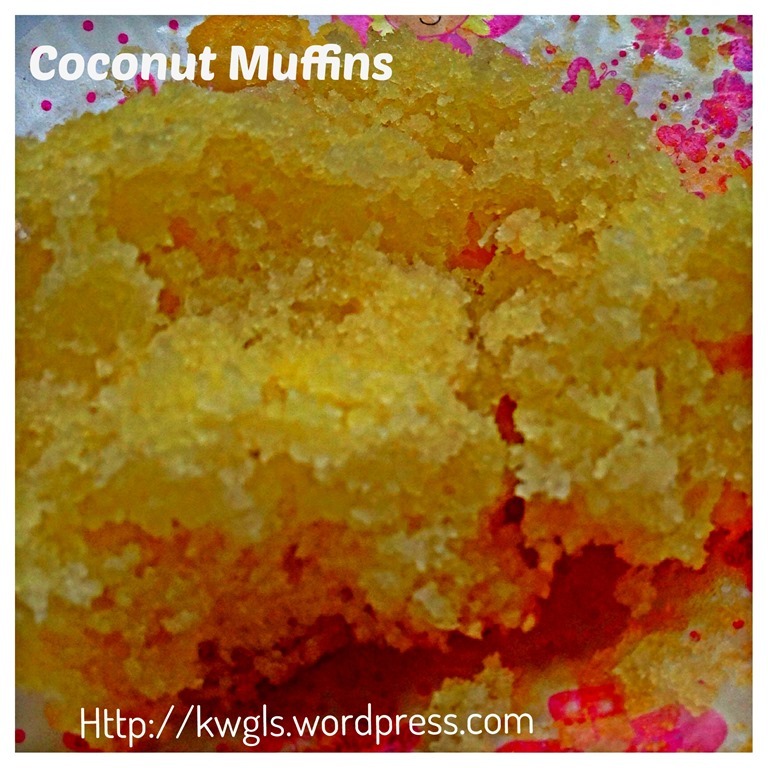 A recipe that I have modified from coconuts delight and my butter cake but it did not disappoint me. I liked it very much and in fact the whole family loved it. 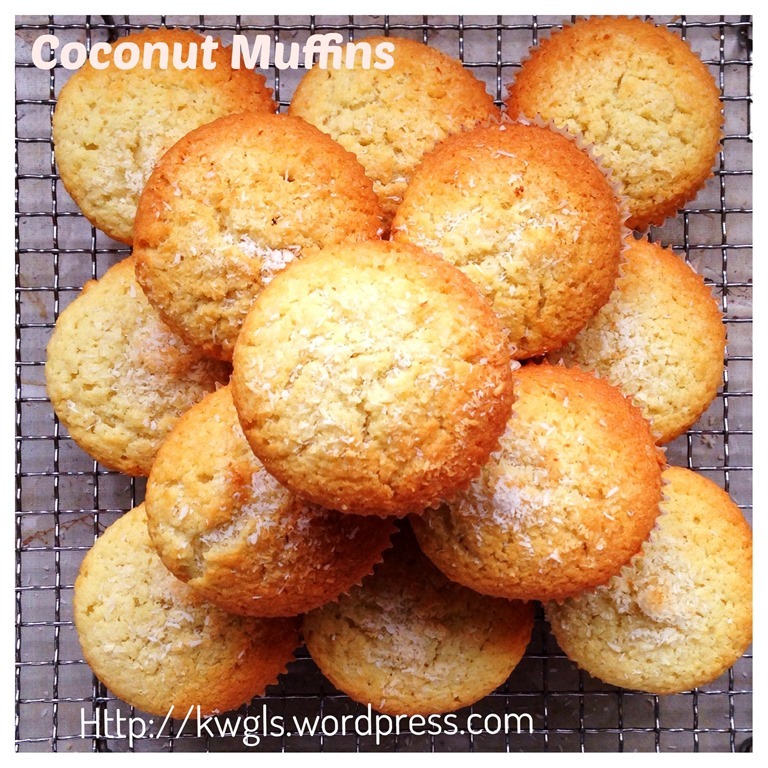 I am not boasting as because of the desiccated coconut, the muffins are very moist full of coconut aroma. This is a very short post and the recipe is an extremely simple recipe that can be easily prepared during this Chinese New Year. It is just mix and bake. If you can’t get hold desiccated coconut since most shops are not open, try using freshly grated coconut. Otherwise, just substitute the desiccated coconut with the same quantity of self raising flour. 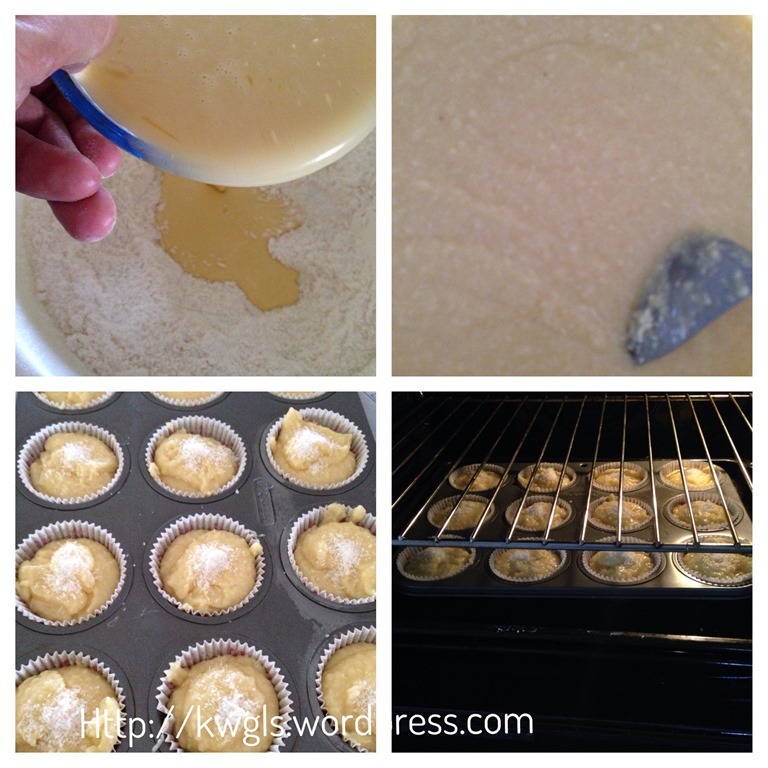 Lightly greased 18 muffin cups. 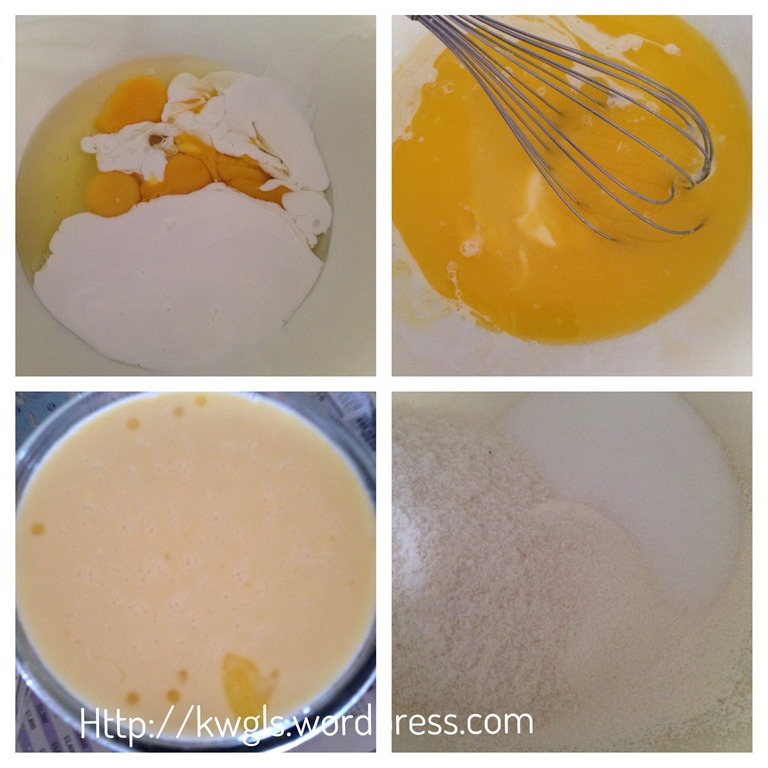 Mix all the wet ingredients together, stir until well mixed. Add in the desiccated coconuts and self raising flour. Stir until well mixed. Transfer the batter to the cup cakes cups and bake in the oven at the preheated oven of 180 degree Celsius for 20-25 minutes or when a skewer inserted turns out clean. A simple recipe for you try out. No complicated ingredients and preparation methods. It will be ideal for the family after the last few weeks of heavy baking for Chinese New Year. Hope you like the post today. Cheers and have a nice day. Sincerely all those who celebrated Chinese New Year a happy Chinese New Year and may you and your family be blessed with prosperity and health. 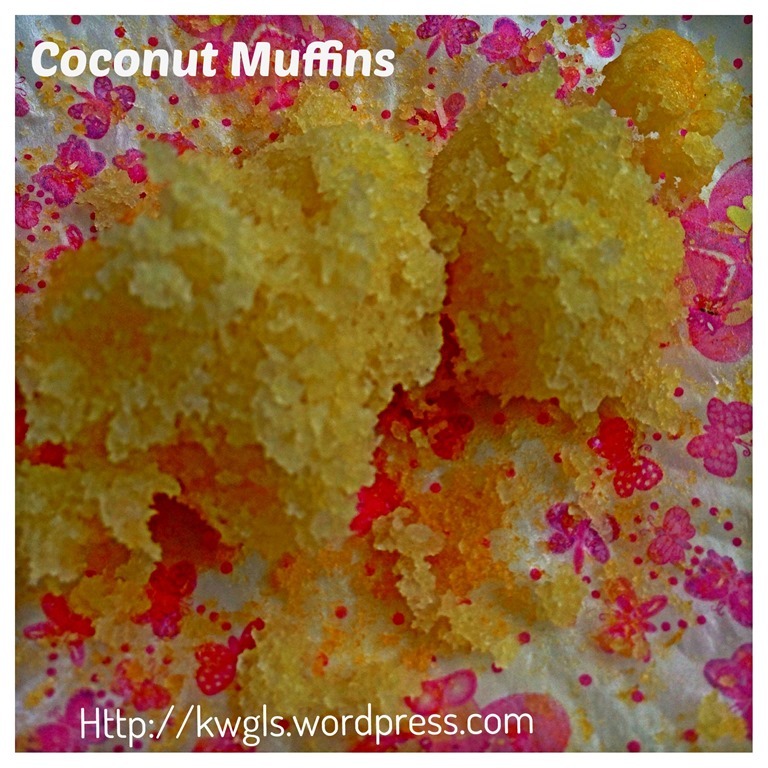 This entry was posted in Cakes and cookies, Food Preparation Series and tagged 8, Coconut Muffins, GUAI SHU SHU, Guaishushu, postaday. Bookmark the permalink. 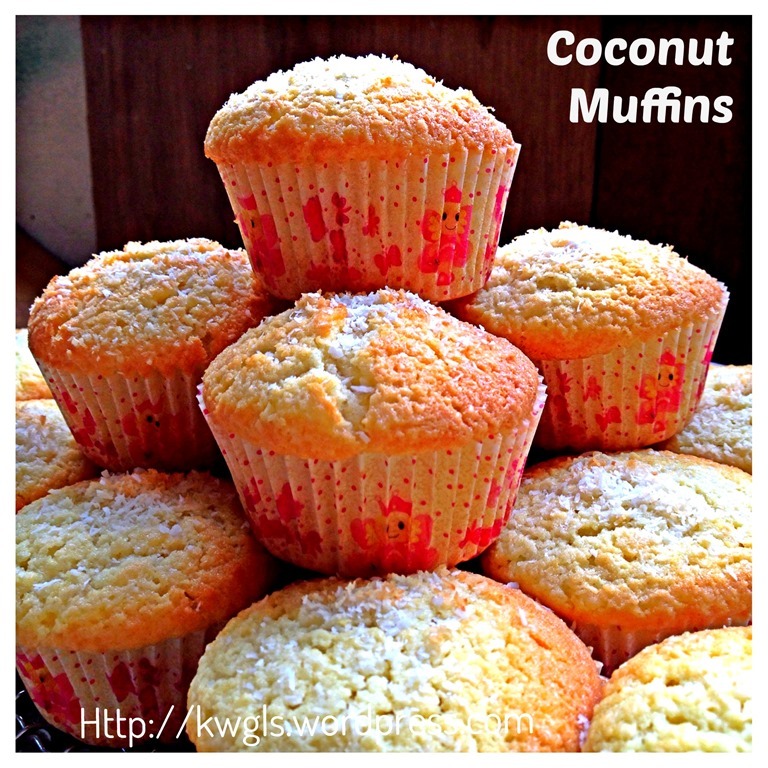 Ken, I love coconut, so I know I will love these muffins! Thank you for sharing them at Treasure Box Tuesday! PINNING! Hi kenneth, may i know if i can use fresh grated coconut instead of dissicipated coconut ? If so, do i need to reduce or increase the quantity of other ingredients ? Thank u.
you can but your coconut milk may have to reduce by say 50-80 ml less. If too wet, add more flour. G’day! 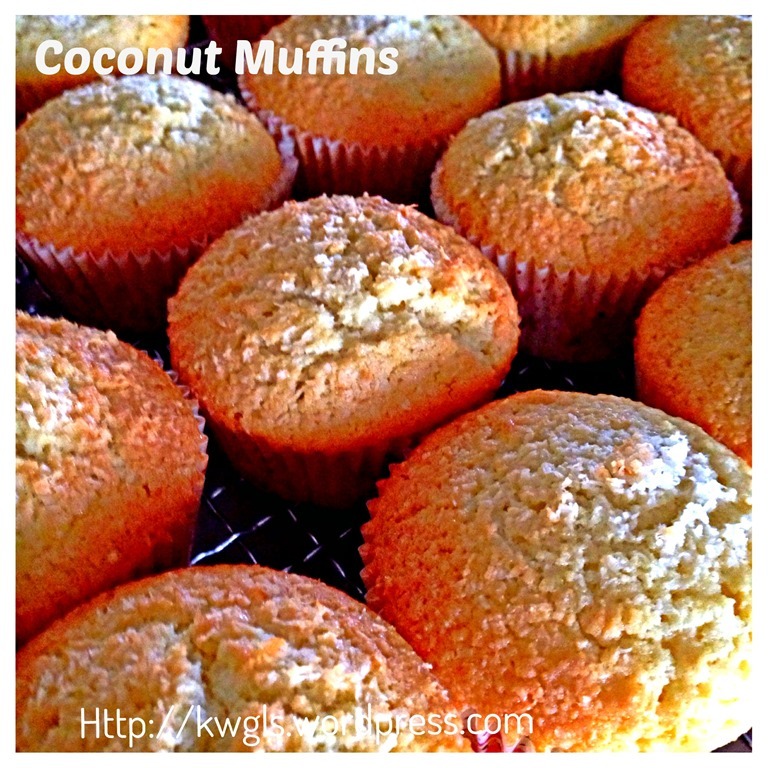 I LOVE coconut Kenneth and your muffins look moist and tasty! 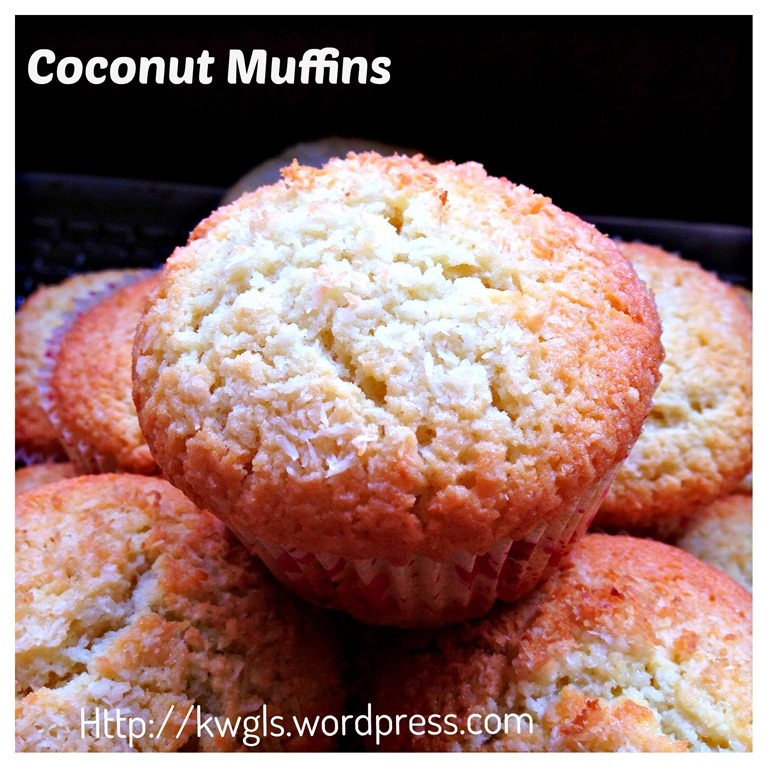 Both my husband and I love coconut so these would be great muffins in our house. Thanks for sharing these on Foodie Friends Friday Valentine’s Party and I hope you will join us for our Snack Food theme party this week. Hi! 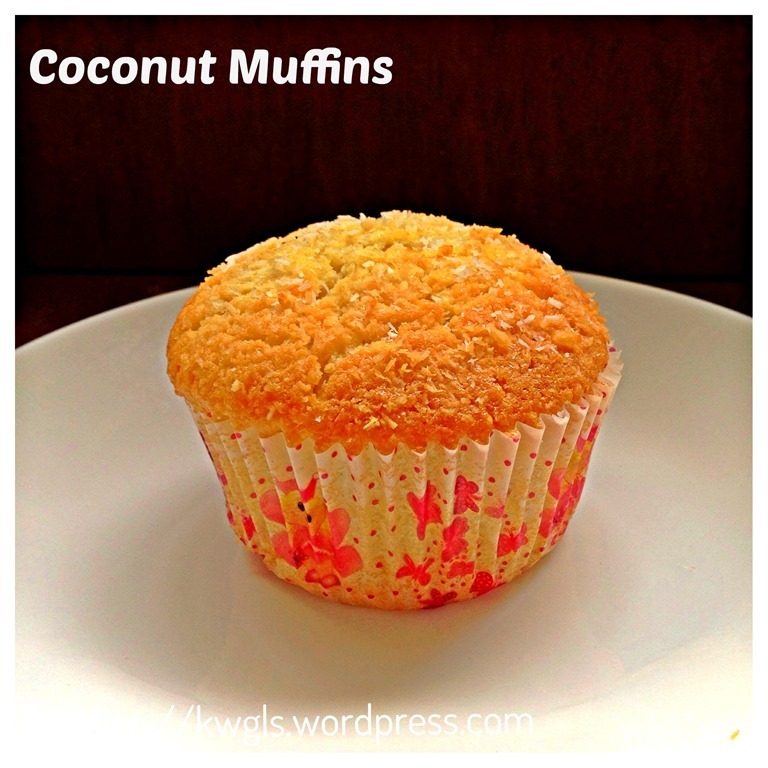 Can check if can replace coconut cream with yogurt or evaporated milk? Thx! Hi, plan to try this tomorrow. 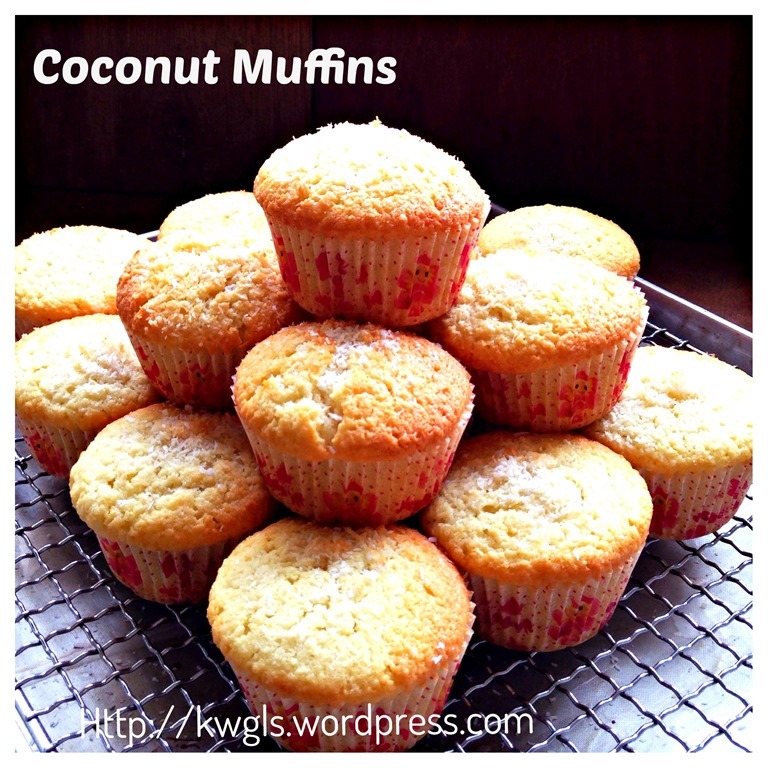 I will use fresh grated coconut instead of desiccated coconut. 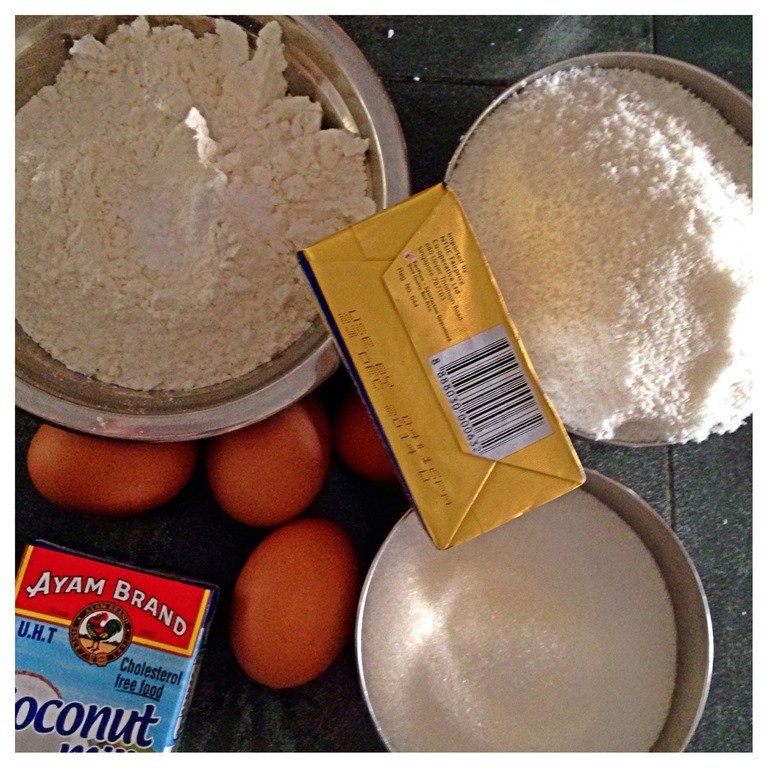 Can i use the fresh santan from the market instead of ayam brand coconut milk? Will it make a diff? Do i need to reduce or increase quantities of other ingredients?